A classic Man With No Name minimal utterance is “Get three more coffins ready”from Sergio Leone’s spaghetti western masterpiece A Fistful of Dollars (I love how after the gunfight scene that follows he says, as holstering his gun, “My mistake, make it four coffins”). For thinking of a DS106 trailer for Western106, I could not help but want to voice over, “Get three blog posts ready.” I’m still working on the Morricone whistling. Hence this trailer based on some edits and voiceovers of the original movie trailer. That’s right, I am pitching myself as The Man With No Course after the one I was slated to teach at KSU did not attract enough students. Look out, I now have my own pancho. The first open DS106 started five years ago, and here we go again with another iteration. This is the thing that makes DS106 like no other open course, x, c, or zeta MOOC– it is no single course. It is a family of overlapping courses/communities convened around the ideas of web-based storytellng, media creation, and publishing your works 9and the work behind the work) on the open web, in your own digital space. Maybe you’ve read about DS106, or seen it tweeted, or maybe not at all. This is a bag of gold opportunity to join it as an open participant, with no danger of watching lecture videos, clicking through multiple choice tests, or getting any kind of badges beyond maybe a tin star. 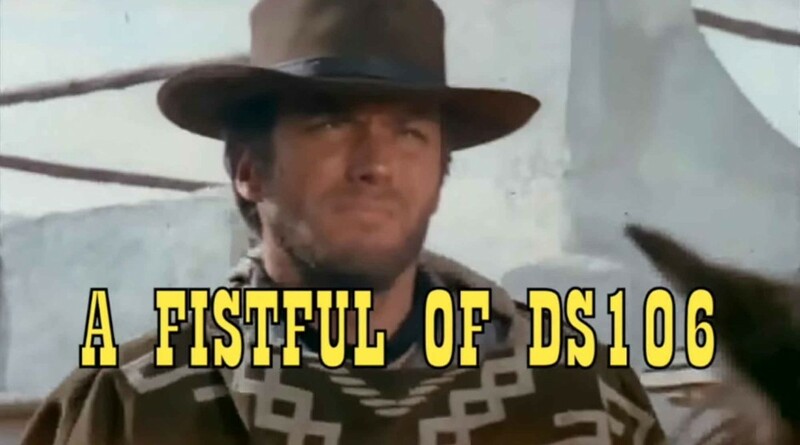 It’s time to step off of the sidewalks, out of the saloon, and into the action in the streets of old DS106 Town, since I have been scheming a while to run a version wrapped around the genre of Westerns. There is much to work with, not only films, spaghetti westerns, but also Tortilla westerns, space westerns, also fiction, radio shows, comics, pulp fiction, video games, music… the whole idea is wide open for probing. There is also a version being taught at UMW by Paul Bond, and I am hoping bring some other students in in February when I will be co-teaching a class at Universad Sagrado Corazon with Antonio Vantaggiati. #western106 problem of the #cowboy as a cultural icon and a commercial puppet. #ds106 where alll cowboys white guys? 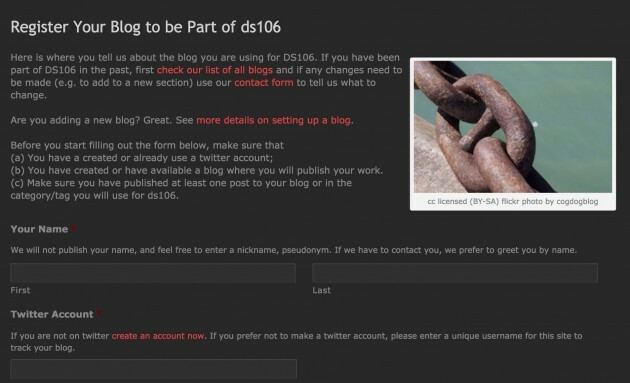 I’ve been doing some reworking of the blog signup at ds106, without going into too much, the old form did not handle tag/category feeds, and it had this problem of letting people only add one feed. A new form is now in place (it needs some testing) that is a rework of the one I did for Connected Courses. So if you need something adjusted to your feed, or have any other issue, check with us first via the contact form. 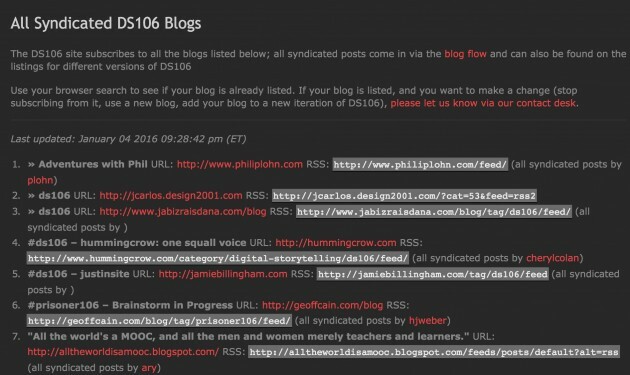 All syndicated posts will flow to http://ds106.us/tag/western106 (I have some custom work to do here). What will the course look like? 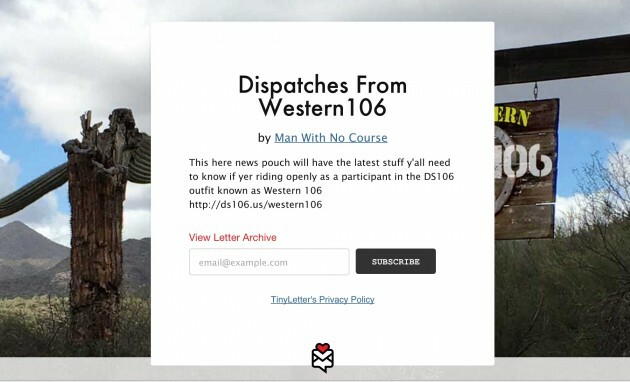 The content will be much like the Open DS106 course with more activities related to probing the western genre. And there will be spittin’ and cussin’ and rasslin’ and… fun. A lot of creative fun. There’s already a ton of fun going in the Daily Creates. It will be a bit crazy (I hope). Especially as I seem to be doing this full bore just for the sheer fun of DS106. Are you going to ride? Get ready to come to Blog Ridin’ Camp starting Monday, January 11.